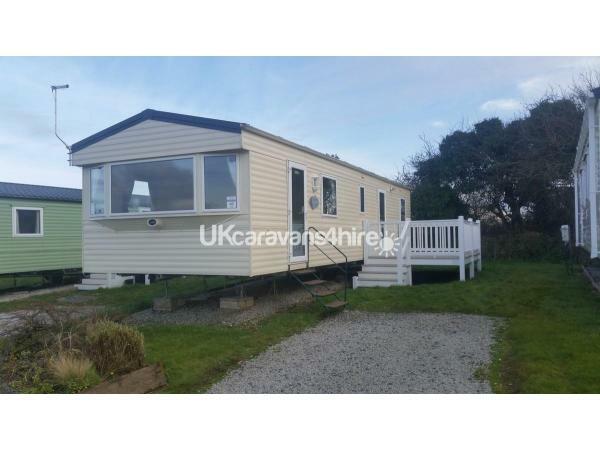 We would like to welcome you to our 3 bedroom (8 berth) caravan which is sited on the Sycamores at Mullion Holiday Park. A quieter area of the park. 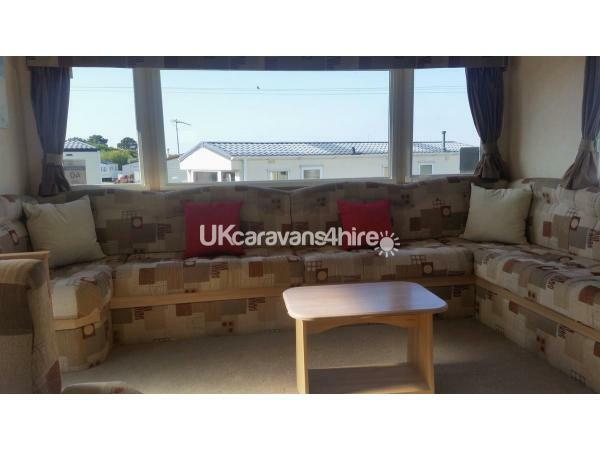 Lounge/diner - open plan with flat screen TV, dvd player, gas fire, sofa bed, dining table. 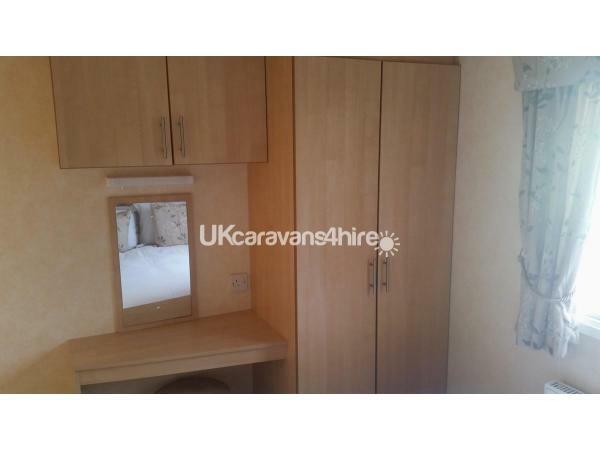 Kitchen - fully equipped fitted kitchen with brand new fridge/freezer, microwave, kettle, toaster, utensils, saucepans, crockery in 2018. 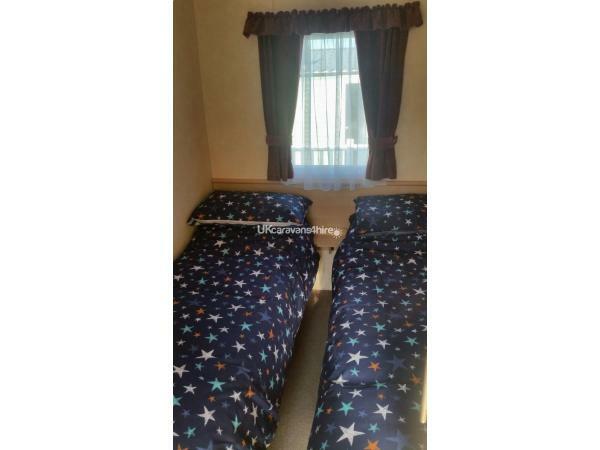 Bedroom 1 - double bed, wardrobe, dressing table with stool and hairdryer. 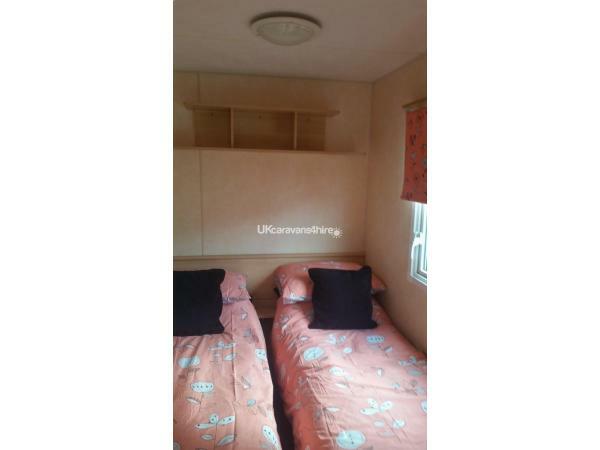 Bedroom 2 & 3 - twin bedrooms with wardrobes. 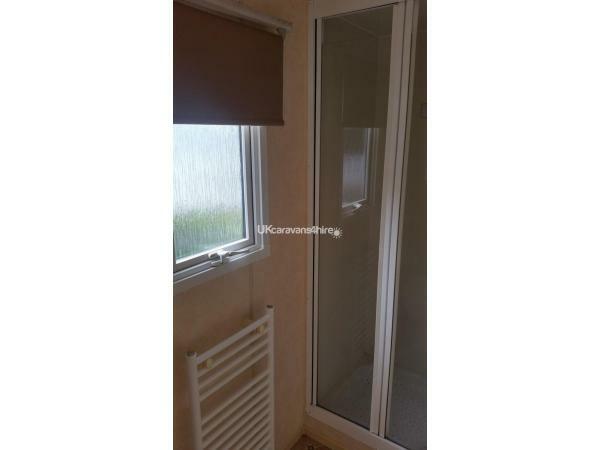 Bathroom - shower, sink, toilet and heated towel rail. 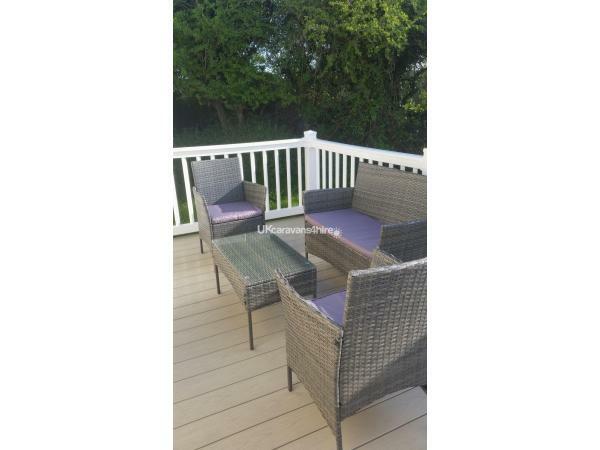 Outside - decked area with garden furniture and parking space. 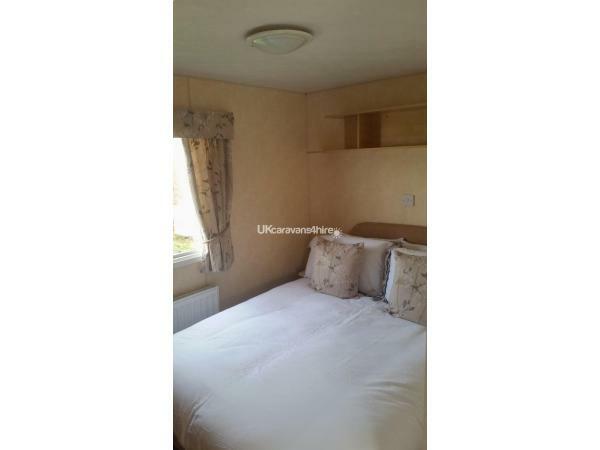 The caravan is also double glazed and has gas central heating. A highchair and travel cot are available at no extra cost. The caravan will be ready for 4.00pm on the day of arrival and could you please ensure that you leave by 10.00am on day of departure. You will need to bring your own bedlinen, towels and tea towels. On site facilities include: heated indoor and outdoor swimming pools, launderette, crazy golf, Crazy Caves soft play, outside adventure play, all weather sports area, amusements, Kynance bar and restaurant, takeaway, Stargate Club with evening entertainment and kids clubs, mini supermarket and dog walking area. 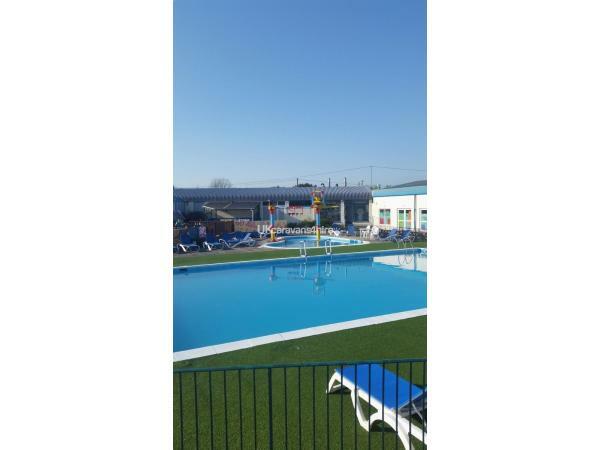 Holiday passes for use of swimming pools and entertainment are not included in the price of the holiday and will need to be purchased on arrival at Reception. Mullion Holiday Park is located 5 miles from the spectacular Lizard peninsula which is an area of outstanding beauty. Fabulous beaches, hidden coves and stunning walks along the South West coastal path. Just a few miles from the bustling market town of Helston, Flambards and National Seal Sanctuary. Further afield is St Michaels Mount, Penzance, Lands End, Poldark Mine, Falmouth so lots of things to do during your stay. 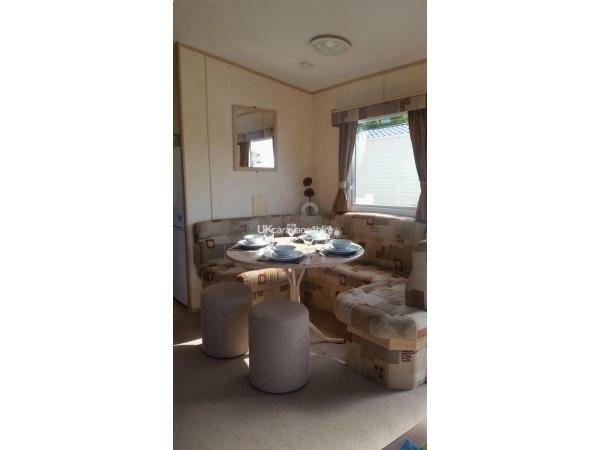 Fantastic caravan lovely and clean the decking area is fantastic especially for dogs or if you fancy eating your food on there with the lovely seating area would defiantly recommend staying here. Pleasant stay, the Caravan was clean and comfortable. Bedding was a little tired but overall happy with our experience. Ann ensured we had everything we needed and even delivered a few items we were missing which was most appreciated. Many thanks for your feedback and have noted your comments. I was happy to deliver the items that you had forgot to bring with you. A lovely caravan, we had a brilliant stay. Will come back again. Lots of things to do. Weather was brilliant everyone enjoyed it. Many thanks for your lovely feedback and glad you enjoyed your stay. It was a pleasure to meet you and your family and look forward to welcoming you back in the future.